Some GMAT students are able to get their score up to a 650 level without too much anguish; for others, it is a Herculean task. 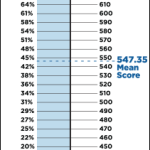 Using the most recent statistics from the GMAC, a 650 score is approximately the 80th percentile. The amount of study time required to reach this point can vary – it depends on your background in math, and whether you are a native English speaker. For most test-takers, I’d estimate that it takes at least 50 hours of study. However, most GMAT students know that 700 is the magical number to be competitive at a top-20 school. Many students wonder exactly how to earn those last 50 points and go from 650 to 700. In the article below, I will describe my strategies for getting to 700. First of all, determine whether timing is an issue on the Quant section. Because of the nature of the computer-adaptive exam, if you’re scoring well, the questions will get harder until you’re no longer able to solve them quickly. If you want to stay consistent through the end of the Quant section, you will just have to make an educated guess on some questions and move on. The old GMAT advice that you should spend more time on early problems because they “count more” has been shown to be false. Instead, a different scoring tip has been shown to be true: missing several questions in a row will harm your score more than alternating right and wrong answers. You want to avoid a streak of 4 or 5 incorrect answers in a row. Thus, if you spend too much time on earlier questions and run short of time, you will be pressured on the last 7-10 Quant questions and are more likely to hit a streak of wrong answers at the end. Avoid this situation by managing your time better earlier in the section. – Test-takers that score very high on Quant but receive mediocre Verbal scores. Oftentimes, these are non-native English speakers. Many 600-level scorers fall into this category. I’ve seen very unbalanced scores such as Q49V33 (660) or Q46V27 (600). If this is the case, then you clearly need to spend additional time working on your Verbal fundamentals. – Test-takers that score reasonably high on Verbal but receive mediocre Quant scores. Usually these are U.S.-born students that majored in a non-quantitative subject in college (marketing, English, etc.) and haven’t done math since high school. These students need to hit up Quant hard, starting from the very beginning. Improve Your GMAT Quantitative Score: If you’re scoring below 40 on Quant, it means you are missing the more difficult math questions. This may include number properties, overlapping sets, absolute values, inequalities, probability, and combinatorics. It’s likely that you can improve by using more advanced test-prep materials such as a Manhattan Prep quant guide. My recommendations would be 1)Word Problems and 2)Number Properties. If you’ve only worked with the Official Guide 2015 book, consider also buying the Official Guide For Quantitative Review. The OG Quant contains hundred of additional quant examples. The regular Official Guide has only a few examples in the areas of probability and combinations, but you can find a few more examples of these difficult question types in the Quant book.  Another option is one of Jeff Sackmann’s GMAT books. Jeff’s book Total GMAT Math is a whopping 430 pages and has every possible GMAT question type broken down by topic. The PDF version of the book is $49.95. He also has a book called “1800 Practice Math Problems” which is more expensive but has a lot more problems. On the exam itself, you should be prepared to just “let go” of a few questions that are just too difficult or time-consuming. If you are completely clueless on a math question (i.e. have no idea how to approach it), simply make an educated guess after 60 seconds, and move on! If you don’t follow this strategy and instead spend 4 minutes on a tough problem, you’ll find yourself under time pressure at the end of the section. The situation you absolutely want to avoid is encountering questions at the end of the section that you know how to solve, but don’t have enough time. You’ll have to guess on problems that you could easily solve if you had managed your time more effectively. Remember that any single question in Quant is not that important – it’s possible to miss 10 questions on and still score a 48Q (97th percentile). If you are scoring even worse on Quant – say, less than the median score of 38 – then you will have start from the very fundamentals. If this is the case, I’d consider the GMAT Pill video course. Improve Your GMAT Verbal Score: Another group of test-takers are those that score very high on Quant but receive mediocre Verbal scores. I’ve seen very unbalanced scores such as Q49V33 (660) or Q46V27 (600). If this is the case, then you clearly need to spend your additional time working on your verbal fundamentals. I have several recommendations. First, consider buying one of the highest-recommended verbal test prep books. These would be from Manhattan GMAT and Powerscore. Manhattan Prep publishes the best GMAT sentence correction book and Powerscore publishes the best GMAT Critical Reasoning book. Second, work on your timing for each of the three verbal question types. It is critical to get your average Sentence Correction time under one minute. Critical Reasoning times can vary, depending on the difficulty of the question – they can take between 45 seconds and two and a half minutes. Once you have your timing down on these two question types, you’ll be able to read through long Reading Comprehension passages without feeling time pressure. Some tough Reading Comprehension passages can take as long as ten minutes, and you’ll want to have sufficient time for these. It’s possible that you could benefit from taking additional practice tests under timed conditions. For someone aiming for a 700, I’d recommend you take at least 4 practice exams overall. 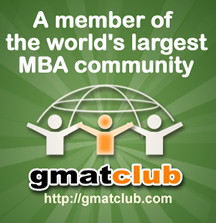 The best source is the GMATPrep software from mba.com, which has 2 free exams and 2 more available for purchase. There are also numerous free exams available online; for instance, the Economist GMAT Tutor (7-day free trial available here, full review here) has an excellent full-length adaptive exam. For your initial practice exams, you should skip the Writing and Integrated Reasoning, and just do Quant and Verbal. This will take about 2.5 – 3 hours. However, before you take the real exam, you should take at least one practice exam and complete all the sections. This will take about 4 hours. If you want to start from the beginning and benefit from the knowledge of a very experienced GMAT tutor, try checking out the GMAT Pill. It’s a full-length video course that has a lot of deep insights into the exam. You can also purchase individual sections of the GMAT Pill course. In particular, I recommend their Sentence Correction module as the best value. If your verbal needs help and you spend the time watching GMAT Pill’s Sentence Correction videos, you are very likely to benefit. Getting from 650 to 700 can be tough for many GMAT test takers, and can often take an additional 1-2 months of study. However, if you can earn the “7” in the hundreds digit of your GMAT score, it may be worth the time. This is really good advice. I have a site called How to Study for the GMAT, and I definitely agree with a lot of your advice. the story has interesting observations.